Chapter 1 - Was there a search or a seizure? Search and Seizure in Oregon, Chapter 1C - Was the Government Action a Seizure? 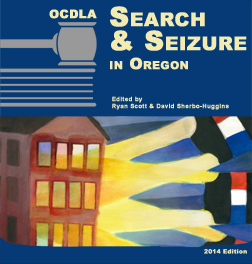 Search and Seizure in Oregon, Chapter 1C - Was the Government Action a Seizure? Chapter 6 - Is Defendant Entitled to Suppression? This page was last modified on September 12, 2018, at 15:46.